Home removals are exciting but can also be complicated and stressful. The first 24 hours after moving house are usually the most hectic. 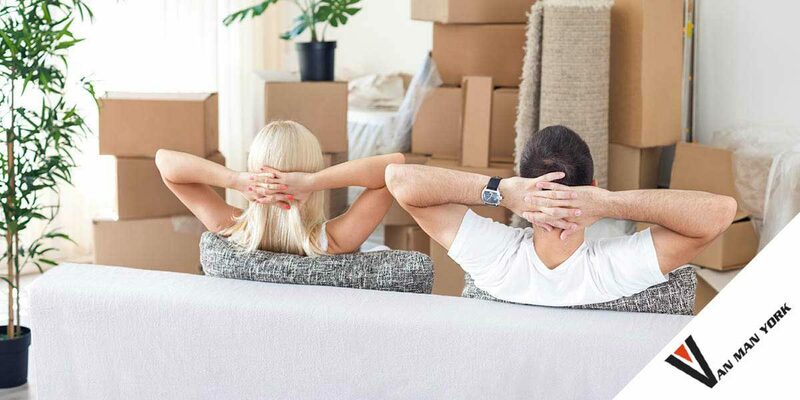 If you make sure you have everything you need and follow our tips for enjoying your new home straight away, you’ll find that moving home is a breeze. When moving house, in our experience from years of completing many house removals arond York, the last hour before the removal company turns up is usually the most frantic. Many people pack every remaining object with no thought of how they’ll find it again after the house move. We don’t belieive in just cramming things in the removals van wherever they’ll fit, we’re always organised and have a plan for each house move we do. Here are some best removal practices to follow to ensure you escape this trap. Try to think past just that you are moving house, to make the move a little easier when you first arrive at your new home a nice idea before you move is to make sure you have a suitcase for every member of the family and ask them to pack what they would take on a weekend away. This ensures everyone has their toiletries, their favourite clothes, their nightwear and even their device chargers instantly at hand. It also means there is a little more comfort in your new residence to get you settled in. This is also good practice for the morning rush as items such as tooth brushes, contact lenses or cosmetics can be packed in the last minutes before moving and you’ll easily be able to place your hands on them when you arrive at your new home. In order to ensure you have everything you need for the first 24 hours after moving house, we show you what to keep to hand by room. If you are following the removal van with your own car, these items will fit in your boot so you can unpack straight away. Every occupied bedroom needs a bed set, quilts, pillows and fresh sheets. When you have completed the house move the first job you should do, if possible, is make up the beds. Even with professionals on board moving house is still tiring so if you get this out of the way you know you can rest when the removal men leave. You also need to pack any chargers, books, kindles or favourite teddy bears or blankets for the children. The York Van Man team will also ease the strain of moving by unloading your packed house items and furniture straight into the correct rooms, so you’re not left trying to climb over object to get them to the right space. In your essential pack make sure you have toothbrushes and personal hygiene items. You also need towels for everyone close to hand and shower or bath gel. You may need a good long soak after all of that hard work. The TV is usually big enough to be found in an instant but you may want to keep the remote controls close to hand. It’s amazing how these disappear so quickly when moving house unless packaged away safely in a labelled box. We’ll make sure to leave your sofa all set up so you can relax from the move and we’ll always try to put coffee tables and other furniture to your requested location depending on if you’ve decided where things will live yet! Even if you plan on takeaways for the first night you may still need plates and cutlery. One set per person is enough. Keep the kettle, milk and coffee close to hand along with washing up liquid, a dishcloth and a tea towel. When you have everything you need the stress of moving is reduced and you can live quite comfortably as if you’re in a hotel for a couple of days. The first 24 hours after moving house will provide a foundation for the rest of the adjustment period. This also means you can unpack the rest at a slower pace. If there is anything extra Van Man York can help with or do to make moving in a little easier please don’t hesitate to ask our driver or removals team, we always try our very best to do the most we can for our removal clients and customers.